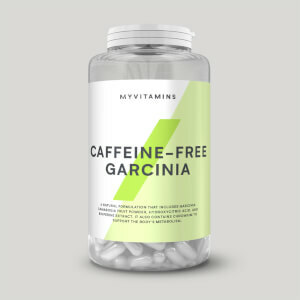 These capsules have been specially designed to reduce the gastric absorption of fat from food, making them a valuable support to your weight-loss journey. Importantly, chitosan can bind to multiple fat types, but it doesn’t absorb fat-soluble vitamins (A, D, E, and K), allowing your body to continue to benefit from these essential nutrients. 1. Chitosan contributes to the maintenance of normal blood cholesterol levels. When to take Fat Binder? Take 2 capsules, up to 3 times a day, with a glass of water 15 minutes before meals for best results. What does Fat Binder work well with? 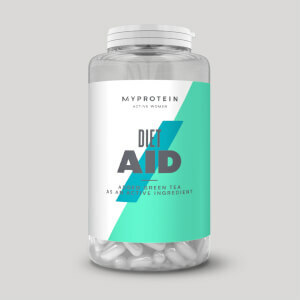 Pair with our Impact Diet Whey to get even closer to your fitness goals — containing a massive 36g of protein per serving without unnecessary carbs and fats, it also has added choline which contributes to normal lipid metabolism. This product is classed as a medical device, rather than a sports supplement. Therefore, nutritional information is not applicable. Yes they work but don’t expect to be able to gorge on fatty food, they aren’t magic, you’ll still need to cut down on excess fat & follow a balanced healthy diet. If anything these are good for binding the fat in food that you can’t calculate, meals out for example. I’ve dropped 6lb in two weeks using these in conjunction with a healthy diet & 6k walks each day. I already have a good diet and walk 6k every day so can’t attribute the weight loss to anything other than the fat binders. Steak... Seriously, drink lots of juice. i used this fat binder to help me reduce my body fat. 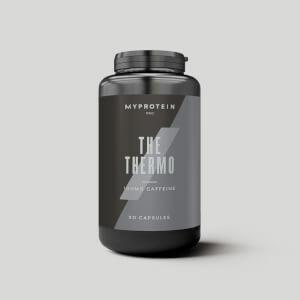 as you know a lot of us struggle to get rid of the little bit of flab on our stomachs, and I've worked out that this specific product works well depending on how you use it...yeah you can just follow instructions but if your not consistent with your workout and goals your not going to get the most effective results. The way i use it is by having 2 capsules literally when i wake up then just before lunch because that tends to be the meal that fills me up the most and have a shake at the same time to help mask the taste a little. then i have it with a banana just before i workout not before dinner. i cant exactly explain why but this seemed to have more a more effective result on me. also it got rid of that crave for just a little more food. its a great product and id recommend to use it the way i do. I've been using these for a month now, taking one dose a day before my evening meal. I've already lost 12 stone from working out and healthy eating, but I wanted an extra boost. I've noticed a difference in the last month. My diet and workout regime hasn't changed, but I've lost more weight/inches than before I was taking them. They have no taste and are easy to take. I will be ordering more!! On a fairly tight diet but can’t always account for the amount of fat in food. Good for when the other half occasionally cooks something not in line with the fibrous shrubbery I normally make now, and especially useful for when eating out. Haven’t noticed any ill effects, I drink plenty of water to make sure that doesn’t happen, any excuse to drink more water is a good one! I only take two before dinner when I use them, taking two before every meal, every day, seems a bit excessive, how much fat is in your breakfast/lunch?? Don't take them all the time because your body needs some fats. However, when having the occasional high fat meal these definitely are a hit. I would not recommend taking 3 times a day but one set a day is fine. Be careful with some of the side affects though. I wasnt sure at first about these but i have to say in rhe first week i lost 4lbs. Ive ordered more and cant wait to see the weight drop off!!!! I used these for a solid 4 weeks. I was only taking one per day in the end as food would quite literally, pass through the body. If you are going to purchase these, I would recommend persevering with he amounts you take as some would suit higher amounts than others, but be persiststant with it and keep taking them! You will lose weight taking these if you keep them up. One or two before a big meal every day. I used to use Liposan Ultra for my cheat meals but they were only moderately effective at binding the fats but these Lipomyl seem much more effective even at half the dose (1 capsule). If you're using these two or 3 times a day then it will work out expensive but If you're eating healthy most of the time and keeping the fats low you can make these last if only using for cheat meals.